I am a Kashmiri and have lived all the 25 years of my life in Kashmir. But I can barely manage beyond a few words in Kashmiri – my mother tongue. When I ask for direction on the street and am told to go daechunn, I am not sure whether that is left or right. At times, while on reporting assignments, I have to take with me someone who knows Kashmiri — a language guide so to say. Most of the times, I take such situations casually. But sometimes there is a stream of disturbing questions. Where did I lose my mother tongue? And how? What does it mean to be a Kashmiri without knowing my own language? More importantly, how does the loss of my language impact upon my ethno-political identity and its expression? I went in search of answers for these tricky questions. And also in search of my language — the language of my belonging and loss — both at the same time. I went through a multi-lingual childhood. At home, I was addressed both in Kashmiri and Urdu. At school, it was either English or Urdu with some Hindi thrown in. I always thought the identity crisis that we, as a nation, face is deep seated in the political turmoil and uncertainty this place has witnessed over the decades. But never have I analyzed it through the prism of language. The former has definitely played its role in shaping our linguistic destiny which is still in making. At the same time, we as a nation have equally played our part in shaping the linguistic dialogue and thereby our political discourse as well. That, obviously, also shapes our self-description and identity — as individuals and as a nation. While trying to look at what the loss of one’s language means, I came across what Kashmiri poet Amin Kamil had once said. “With Kashmiri (language) we are Kashmiri (nation) or else disorderly crows in wilderness,” Kamil said. You can’t get closer to describing how language is central to your identity. And, how its loss can unhinge a nation resulting in its dismemberment and anarchy of sorts. Kamil’s use of the term “disorderly crows” is significant. So is the placing of this pack of ‘disorderly crows’ in ‘wilderness’. Wilderness, as we all know, refers to desolation, abandonment and something that fails to find any goodwill from any quarter. Kamil, I feel, was so apt in capturing the state you land in when you lose your language. But I wonder if Kamil was also obliquely referring to Kashmiris as well — ‘disorderly crows in wilderness’. That in part, to my mind, also explains our inability to assemble a coherent, tangible and progressive narrative about our political identity and our chaotic struggle to realize it. If language is so central to your identity, then who am I if I don’t speak Kashmiri? And if your mother tongue is a manifestation of your identity, then what will become of the kids who know several languages save their mother tongue? How will this nation shape up in the absence of its language? These curious cases of second language identities cast a gloomy shadow for a person who is in search of her language of belonging. As I search for my language of belonging, I seek it around me. I begin with my home where my family converses in its language of belonging (Kashmiri). But my emotional and mental belongingness to that language stands at zero. There could be a variety of reasons for this. But I surmise this disconnect begins very early in childhood. As a child I was force fed with a language that wasn’t of my belonging — a language that wasn’t my mother’s tongue. It was like being born unto your mother but growing up without her. You are left with just a faint intuit of who she might be. The actual sensation of her touch, smell and feel are never there. The emotional cords I ought to have with my mother tongue were snapped right then. As I grew up, it was a life of divorce from my mother tongue. Irony is that this divorce happened when my nuptial bond with my language wasn’t even in place. A person growing out of a divorce would obviously be cold to any proposal of re-marriage with the same language. I believe that’s one reason why youth of my age, who were cutoff from their mother tongue in their childhood, cannot warm themselves up to the idea of revisiting their connections or disconnections with their mother tongue. The emotional impetus to do so is almost completely missing. So that was home — where a firewall was created between me and my mother tongue probably even before I was born. The wall just grew higher and higher as I struggled to scale it. And never could. As I move out of home in search of my language of belonging and go around the city I live in, all I find are ugly placards, hoardings, signboards in English screaming for people’s attention. Wherever you go, you will find yourself reading directions in English. The names of shops, even the places, though they phonetically sound Kashmiri, you will find them italicized in various Roman fonts. From Aqsa Photostat to Hilal Cap House to new ventures like Amigos and La Rouge, the linguistic diversity on the streets will make you travel around the world but Kashmir. In search of my language of belonging, I met some Kashmiri writers, poets and teachers; almost all of whom belong to the older age group. And now when I am chronicling my search, I wonder why I left out youth in my age bracket. It wasn’t deliberate. In my search for my language of belonging, they just didn’t come to my mind. That in a way points to my own psychological erasure of belongingness and the sense of it from my self. Amin Kamil’s words ‘disorderly crows in wilderness’ echo back to me. Perhaps I would add — disorderly crows who feel no relationship with each other — who are devoid of any fellow feeling precisely because of the loss of their language of belonging which is central in creating human bonds of empathy and sympathy. My first stopover was Prof Shad Ramzan who heads the department of Kashmiri at Kashmir University. Sitting in his chamber, adorned with Kashmiri books and portraits of past heads of the department and kept warm by a blazing charcoal furnace in the January chill, the man peered at me and innocuously asked: What are you looking for? That deepened the sense of loss in me. Impulsive as I am, I wanted to answer back: I am looking for my language of belonging. Something stopped me. The professor made an interesting point. “The influence of Persian and Sanskrit on Kashmiri language is undeniable, but the influence rather than taking away the originality has instead enhanced the language.” I couldn’t help but connect this observation to the present times and wonder about the influences of English and Hindi on Kashmiri which so very rightly fit into the category of ‘language of rulers’ as well. Only this time they may have managed to take away not only the originality of the language but also disconnect people from their mother tongue. On the other side it also explains the hybridization of the Kashmiri, from Persian and Sanskrit hybrid, to now that of English and Hindi hybrid. The schooling point did hit a cord with me. I went to an English medium school and learnt how to write and read in an environment where the connection of books and syllabuses with Kashmir was limited to counting the states of Republic of India. There was nothing about Kashmir, let alone anything about Kashmiri language. But doesn’t one acquire his/her mother tongue rather than learn it in schools? In Kashmir, sadly we don’t seem to acquire our mother tongue. Parents insulate their children from the language early on and instead laboriously coach them in Urdu or English to make them “acceptable” to a society that has already devalued its mother tongue in linguistic, cultural and social terms as an inferior tool of social interaction. Prof Ramzan made another interesting point as I drew our conversation to a close. “Language is the only identity one can have. Culture and other things keep changing,” he summarized. The lines prodded something inside me; it made me question my identity, my belonging and left me still searching for my language of belonging. In the search for the Holy Grail for my language of belonging I then met poet and ex-teacher Prof Marghoob Banihali. Sitting in his study room, Prof Banihali began with a thought-provoking reflection. “A community doesn’t need to learn or study its own language. It comes almost naturally to it. Even hundreds of years of foreign rule couldn’t take Kashmiri away from Kashmir.” I couldn’t completely agree or disagree with him. The fact is yes, we still haven’t lost our mother tongue. It still runs through the heart of Kashmir like Jhelum and very much like Jhelum has been encroached upon, polluted and defaced over the years. Prof Marghoob gave me a number of reasons for the present state of Kashmiri language. “Kashmiris are not committed or conscious about their mother tongue,” Prof Marghoob told me. “One of the major reasons that our language couldn’t grow is because it couldn’t ever become a means of employment or have any sort of monetary benefit attached to it,” the professor, who taught Kashmiri literature at Kashmir University for over 30 years, explained. Prof Marghoob also talked of “cultural appropriation” which he thought was eroding the base of Kashmiri language. “There is a major shift in the societal and cultural aspects. People of older generations celebrated their language and culture and being Kashmiri with the splendid Masnavis like Yusuf-Zuleikha and Gulrez,” Prof Marghoob said. This, obviously, further widens the disconnect with our language, history and heritage. Political upheavals, cultural appropriation, inefficient education system, apathy, modernization, lack of any economic benefits and other factors have arguably and inarguably played a critical role in the decline of my mother tongue. So how do I fight all of it and find my language of belonging? With all this grim context, is there even a future for Kashmiri? As I analysed Shauq’s arguments, I wondered if I could agree with some of them. I, for good, have crossed the imitative age of children; I am not a blind imitator of Bollywood stars; I am an unmarried educated girl, but I doubt if I can call the loss of my language of belonging just a “psychological problem”. I believe the reasons are far more complex. Despite these assurances, I still haven’t found my language of belonging. And as I continue my search for my language of belonging the words of Walter Lawrence and the reality of inescapable change around me ring in mind: Let not history hold this generation guilty of losing what has been preserved by our ancestors for thousands of years. Let us prove worthy sons of those of our ancestors. The search for my language of belonging would have been incomplete if I hadn’t met poet, satirist and an expert on many things Zareef Ahmed Zareef. I consciously made him my last stop over, not only for the authentic account he would give me but also for the scolding he gave me, the previous time we met, for not being able to speak my mother tongue. Zareef took me back in time when political conspiracies were used to disintegrate the identity and nationality of Kashmiri community and how language was made a tool in this enterprise. Zareef spoke about the “mysterious” removal of Kashmiri language from the school curriculum during the 1950’s, for which no reason has been given till date. At this, Australian diplomat, Kim Beazley’s quote echoed in my mind, “To Deny people an education in their own language is to treat them as conquered people.” In Kashmir too, language has been used as a stratagem of the process of gradual and calibrated disenfranchisement to water down the distinct identity of the people and subsume them in a cartographic construct they have no emotional linkage with. The effects of prolonged conflict the state has witnessed have been unmistakably used to shape the linguistic discourse of the land and as a means of taking away the sense of a community from its people. 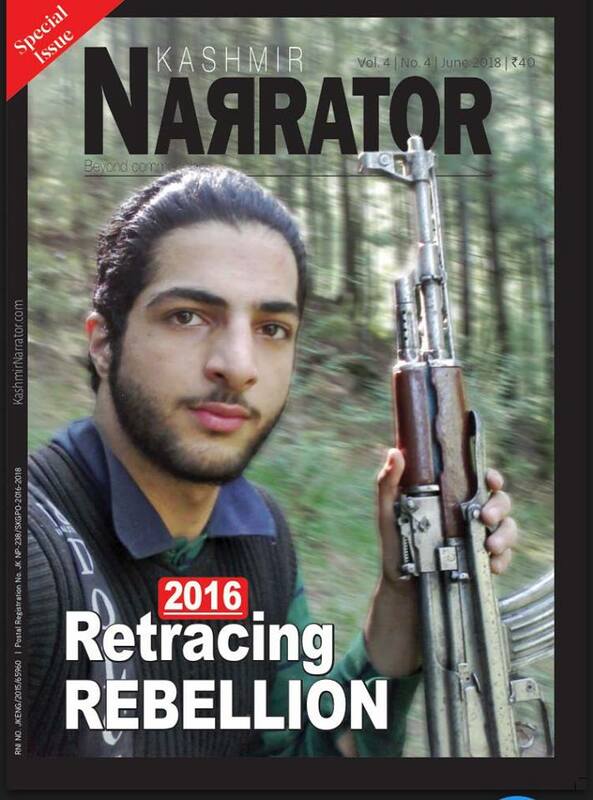 Zareef refers to Kashmir as a civilization, a nationality and Kashmiri language as its identity. But we also cannot ignore the colonizer and the colonized context that come along with it. The years of colonial rule which gave step-motherly treatment to Kashmiri, trapped Kashmiris into the vicious circle of undermining their own mother tongue. And the way Shafi Shauq talked about the ‘imitative stage’ of children, Kashmiris imitated and identified with the language and traditions of the ruler and coloniser in a similar manner. Zareef spoke to me about a variety of things — the lack of books in Kashmiri, non-availability of translation centers, vested interests of civil society members; and then he stumped me with a question which literally shook the soul of my search for my language of belonging. “Which language do you dream in?” Zareef questioned me. I hesitated to answer. I knew the answer would establish that even my subconscious didn’t belong to my mother tongue but functioned in a foreign language in a foreign style. As a sequel to Zareef’s question, I asked myself: Has my subconscious too been occupied? Meanwhile, my search for my language of belonging and loss hasn’t ceased.